I don't know if you got the chance to see the moon last night, but it was truly amazing, especially here with those amazing clouds! My husband, who can be quite the ham, was teasing my boys that it was a "werewolf moon", which lead to an interesting discussion, as you can imagine, especially since my boys are 8 and nearly 10. Now, we don't let our kids watch werewolf movies (not even the cheesy B movie ones, you know the ones I mean), but they have seen cartoon versions like Scooby Doo or masks at Halloween (something we don't celebrate for personal reasons), so they know what they are. They know the "theory" behind them: During a full moon, the guy or gal, powerless to stop it, changes into a scary, wolf-like monster, howls at the moon and then chases people around trying to bite them. Anyway, after we discussed why we did or didn't think the moon was a "werewolf moon", we preceded to make tongue-and-cheek references to werewolves the rest of the night (i.e. how my hubby looks like a werewolf (he has a beard and thick hair and bushy eyebrows), growling as if we were werewolves). As we laughed through it all, a thought dawned on me: I was kinda like a werewolf. This is one of the most powerful bullets because, until you get your diet right, the rest can be in vain. 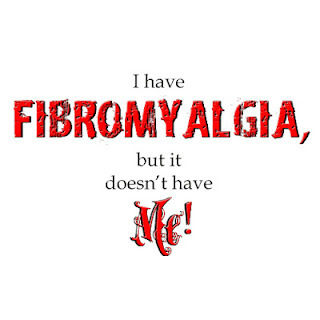 It is kind of the make-or-break item in terms of Fibromyalgia remission, i.e. it can kill the Fibrowolf. It is important to keep your attitude under control because (if you don't, if I don't), you find yourself fighting Fibromyalgia alone, because (just like with the werewolf) everyone runs from you, not wanting to get bitten. No one wants to be with someone who is negative and depressed all that time. And while, yes, support is needed despite how we are acting at the time, it is whole lot easier for someone to want to be there for you (for me) if you are at least trying to curb your attitude or apologizing when you aren't at your best and saying things you don't mean. This is the one that makes me feel most werewolf-ish. My body is in tune to the weather (temperature and precipitation), just like someone with arthritis. It is in tune to the slightest of changes, even if they are a week off! Really; it's true! 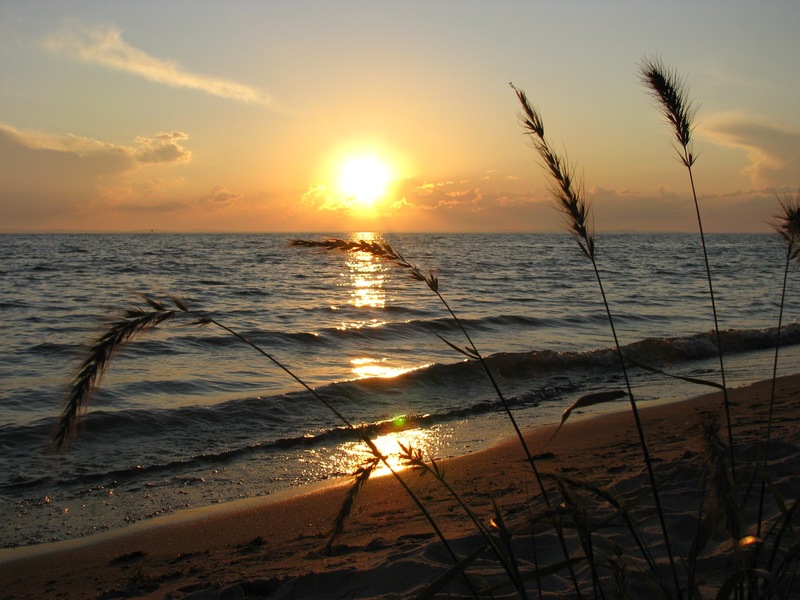 Changes in my physical environment can cause issues, too, both negative and positive. If I'm around a mess that I don't have the strength to deal with, it is depressing and can amplify my pain or weakness by double or more. If I'm in an clean environment, it makes me smile and can improve my ability to function up to 10 fold. I know that sounds nuts, but it's true for me. This is the one I forgot about on Wednesday. It is the 4th Fibromyalgia trigger. Too much or the wrong type of physical activity can be debilitating, but too little can be just as bad. There is a balance, and each individual person needs to find their own "too much" and "too little" and "wrong" or "right" type and not feel they have to justify it. Having to justify it can lead to a bad attitude, as well as feeling pain from over- or under-doing it, and that is just the sort of thing to make Fibrowolf howl. Not fun. In essence: For those of you with Fibromyalgia, find your balance, and don't worry if people believe you or not; it is what it is. For those of you who know someone with Fibromyalgia, believe them when they tell you they can or can't do something. You may be surprised how little or how much they can do, but that's not your call. Just love and support them; that's what they need most. Enjoy your holiday weekend (those of you in the USA), and remember to do what you can to keep that Fibrowolf at bay! So...The title of this post is "What I've Learned"...That covers a lot of things. I've learned that Fibromyalgia is effected by 3 things: food, attitude and environment. Food: I have to eat right (i.e. the more whole and natural the food, the better, especially veggies and fruit) and avoid my food triggers (so far they are soy, processed food, too much sugar or the wrong type (I can eat cane sugar, maple syrup, molasses and honey in moderation), artificial sweeteners, chocolate (other than Nestle's Dark Chocolate Morsels or cocoa powder), and peanuts (though natural peanut butter and unsalted peanuts don't seem to bother me so much, but the other types/kinds definitely do, but generally only if I have too much which is basically more than a serving or 2 per day)). Attitude: I have to make sure that I stay calm and not over-react, and if I don't that leads to issues, from pain to fatigue. This can be a struggle because it's like a vicious cycle. I can be tired and then get cranky, which makes me hurt, which makes me cranky, which makes me tired, which makes me cranky...You get the picture? It is very important that I keep in God's Word and pray daily, that I stay in church, that I surround myself with family and good, Christian friends and that I make time each day to be alone to re-center myself (several times a day if need be, and normally it only takes a few seconds to minutes, but not always). When I feel the stress building, I have to give myself a time-out of sorts and go into another room if possible, close my eyes, take a deep breath and confess to God that I'm about to lose it and that I know if I lose it, it's going to snowball on me, so I need His help! He will come to my aid every time if I let Him. I know that may sound strange, but sometimes I like to hang onto my anger and frustration because I feel justified in it. I just KNOW that I was right and he/she was wrong, and I'm just gonna fester! That's a HUGE no-no for me, but yet it is one of those nasty habits that seems to want to hang on some days. It is part of my "work in progress" self, and something that I need prayer for. Environment: By this I mean weather as well as scenery. If it is cold, I hurt, plain and simple. I need to always carry a sweater or blanket, and sometimes that gets me looked at which can make me a bit self-conscious which doesn't help things, but that's when I refocus and ask for God's help to ignore the stares and give me strength to explain if need be. Also, when things are dreary or messy, it's hard not to suddenly feel overwhelmed. This is something I have to give to God and ask for His help to find the "silver lining". It is not easy, but it's not impossible. It's one of the big things on my prayer list right now, too. I keep telling myself, "This, too, shall pass," which is something I heard all the time growing up. Nothing in this life is permanent, including messes and nasty/cold weather - just breathe, ask God for help, and do what you can. I've learned that Fibromyalgia is silent. It is not an obvious condition in most cases. Most people could look at me and not have the faintest clue that I have a chronic condition. I look like your average, healthy (albeit overweight) woman who looks ready to take on the world. I don't have a rash, I don't have obvious swelling (though sometimes I do), I don't have braces on my legs or other joints or for my back (though I know some people with Fibromyalgia who do), I don't use a cane or have a wheel chair (though I know those who do), I don't look "ill"...and that makes this condition a million times worse. People say thoughtless things to that regard. They look at you like you're crazy when you tell them you can't sleep at nights or you have powerful mood swings you cannot control or you hurt everywhere like you've been hit by a truck or when you tell them if you eat thus and so you'll be unable to move properly for days. It's like your watching life through a body you are not able to control, and you scream and holler for it to do what you want it to do JUST ONCE, and it's like it laughs at you, mocks you...THAT is the silent struggle only those with Fibromyalgia, or others with similar conditions, can understand. Thing is, I don't really mind that other people don't understand Fibromyalgia - I'm kinda thrilled they've never experienced anything like it. I just want them to BELIEVE me, take me at my word, hug me if it's appropriate and say they are praying for me. I really don't want to hear "I understand" from someone who cannot possibly understand, but "I'm praying for you" goes a really long way. If you're reading this and you've ever said anything without thinking that may have come across as hurtful (I did it, too), learn from it and do better next time; apologize if need be, but don't beat yourself up for it. You couldn't possibly know what it's like, so I wouldn't hold you accountable for a stray word offered in what you thought was help. Just take what I said to heart and keep it in mind for next time. :) And, no, I don't have anyone in mind; I'm just speaking my heart. I've learned that Fibromyalgia is individual. Oh, sure, we all have triggers, but those are not always the same for everyone. What foods bother me, may not bother you. The things that stress me, may not stress you. Cold bothers me, but may not bother you. Though I love hearing what helped you or a loved one, though I love reading the latest and greatest information on the web or in books, keep in mind this truth: Fibromyalgia has no hard and fast rules. I have been advised to go gluten-free and even grain-free, and I am willing to if need be, but cutting them out has not made a difference in me, so I am not planning on doing that any time soon. However, I do notice a difference in white flour vs. say whole grains. Your run-of-the-mill white flour can bother me, but not say whole grain oats or bran or whole wheat flour that's not processed to death. I still have to watch how much I get, but I think it's like that for anyone. I also have been told (via various means, including articles) to limit tomatoes and potatoes, to cut out corn, to cut out sugar, to cut out coffee and chocolate, to cut out dairy, to take more vitamins, to take only certain types of vitamins, to get off vitamins, to eat fish, to avoid fish, to eat soy, to not eat soy, to never get another shot, to avoid medications, to stop taking meds all together, to add more meds, to amp up my amount of whole grains, to eat peppers, to not eat peppers, to exercise more, to exercise less, to sleep on a hard bed, to sleep on a soft bed - you see the amount of conflicting information out there? Some of you are laughing, I know, but you have to remember, all this advise was given to help. It's what's worked for them or for people they know and love. I take it all with a grain of salt and search through it all, pray about it and see what works for me. It may not be what worked for you or your loved one, but it is what is good and right and perfect for me. I've learned that God is a whole lot bigger than I first realized. I feel so much smaller than I ever have in my entire life, and I'm glad for it in so many ways. I have to rely less and less on my strength, and more and more on His. I have to turn to Him more and more just to make it through the next 5 minutes, let alone the rest of the day. I am grateful for that gift. Life is so much sweeter when you are letting the Lord fill you with His strength, mercy and grace. It doesn't mean I feel great when I give it over to God - I still have the pain or fatigue and the urge to be depressed/anxious doesn't immediately go away - but I get His peace, His light, and suddenly there is the way out, the light at the end of the tunnel, and I know it will be ok...no matter what. Hope is such a great feeling. I've learned that I have an amazing husband, family and church. They have been so supportive and pray for me all the time. My hubby doesn't get upset with me when something remains undone and he tries to help where he can, my sweet boys are more than willing to help, and my darling little girl is so quick to offer hugs, and that only scratches the surface of it. My church family, my extended family and friends, too, nearly always have words of encouragement for me, are there to offer hugs and are ready to pray with me or for me, too, whenever I need them. Having such a great support group is key with Fibromyalgia, that's for sure! That's not everything, but it's enough for now. :) I hope that in some way this post has been an encouragement to you, but (if not) at least informative. Have a great day, and thanks again for reading me! I have always been a fan of the coconut macaroon, but was never able to find a recipe that was soy-free (something I try to avoid at all costs myself, even though I don't have an allergy to it, because it effects my body in bad ways)...until now, which makes me deliriously happy. :) This recipe is a recipe submitted to Taste of Home by Penny Ann Habeck, and it is wonderful! I didn't change the recipe other than the optional chocolate, it's that good. If you love coconut, you need to try these out! 2. In a small bowl, combine the coconut, sugar, flour and salt. 3. Stir in the egg whites and vanilla and mix well. 5. Bake for 18 to 20 minutes or until macaroons are golden brown. 7. Once the cookies are cool, move the cookies to waxed paper if they aren't already on it and drizzle with melted chocolate (if desired) and allow chocolate to dry before enjoying. You could also dip the cookies into the chocolate instead and then allow them to dry on waxed paper before serving as well. Chocolate Coconut Macaroons: Follow the recipe except add 1/8 to 1/4 Cup cocoa powder when you add the flour and bake as directed. Drizzle with or dip in chocolate if desired. Toasting the coconut is not necessary in that it toasts in the oven, but if you find that the coconut does not get quite as toasty as you'd like, feel free to toast it before using it, but I would recommend only toasting it to about 1/2 of what you like so that it doesn't burn in the oven. 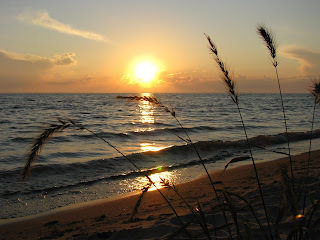 I just love this picture that I took in 2008 at a local beach. 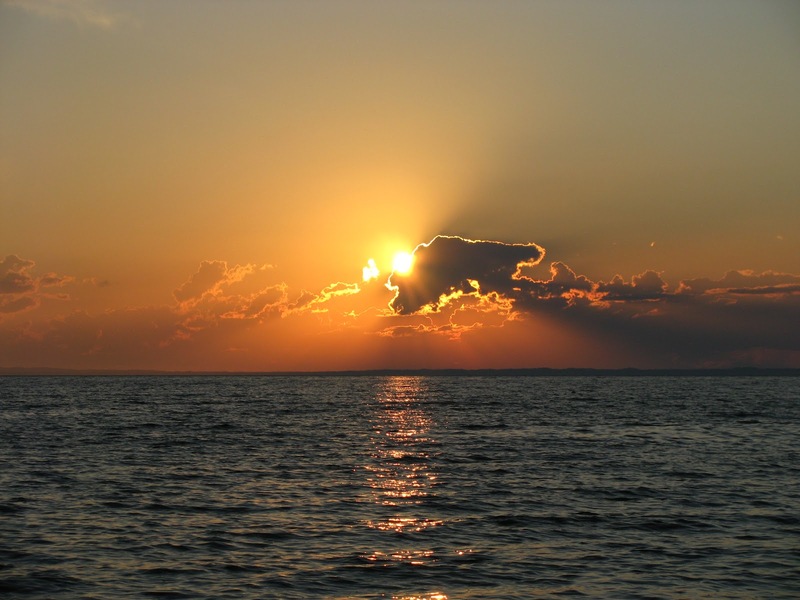 I love the way the sun reflects off the water, the way the clouds cover just enough sun to emphasize the beauty of the sunset, the contrast of light and dark...This is simply a photo that makes me gasp at the same time it sends me into instant "relax" mode. It also gives me a lot to reflect upon, like where my life was at that very moment and where it is now, and about the mysteries of life and the love and mercy of my Lord. Most recently, it reminds me of perspective. I'll explain. How many times do we complain (and I'm speaking to myself here) when the clouds overrun the sky on an otherwise perfect day? How often do we complain that there are not enough hours in the day? How often do we moan about the change of seasons because, if you're like me, when the weather shifts, you HURT and you can't just wish it away or take some magic pill that stops it all? If you're honest, if I'm honest, the answer to those questions is the same: far too often. We grump, we moan, and we get depressed. We kick the ground, we yell at God, and we forget. What do we forget? God's grace. Look at the sunset in the picture. Do you think it would be near as beautiful without the clouds? Do you think the water would've been near as amazing without the ripples and waves? Absolutely not. We forget that God sees the full picture, not just the beginning of it or just the end. He sees everything at once - our potential, our limitations, our successes and failures - and He loves us anyway. He is the Great Artist, and if we just trust Him, our lives could be a brilliant work of art instead of the average one we make of it, if not the mess we tend to make of it. We need to not fear the clouds. We need to not fear the waves. We need to not hate the changing of the seasons in our lives. We simply need to cry out to God and hang on tight! Let Him carry you through, especially when you don't have any idea where the wind may take you. Remember: God already knows. We make God so very small. We limit Him. We don't truly believe that He is an omnipotent (all-powerful), omniscient (all-knowing), omnipresent (everywhere present) God. We think He is a man with limitations and fears like we are. I don't know about you, but it makes me feel powerfully ashamed that I put God in such a small box. Instead of Him being the God Who said, "Call unto me, and I will answer thee, and show thee great and mighty things, which thou knowest not." (Jeremiah 33:3, KJV), I've turned Him into the neighbor next door who may or may not have that cup of sugar when I'm in a bind. Ouch. How little my faith can be at times. Fibromyalgia is a trial. It is HARD. It is FRUSTRATING, especially when you have little ones and you are involved in so many things like I am. But I must remind myself that God knew all about this from the beginning of time, that He allowed it for a purpose. Did He cause it? No. Sin (and I don't mean individual sin, though that can sometimes be the case, but original sin and the author of it, Satan) is ultimately the cause of all things bad. God does, however, want to use it for my ultimate good. Do I understand the whys or the hows of it all? No. Do I struggle with thinking it's unfair at times? Yes. But at the end of the day, I choose to trust in my God, my Savior, and I choose to know that He is good and that it will be ok somehow. I encourage you to read James 1 and the rest of Philippians 4 when you can today. It will be a real prospective changer, a challenge to you and will also encourage you! Last night I had another flare due to eating something that I thought would be ok, only to figure out the hard way that it was not. When I woke up this morning, it was a struggle to get out of bed, but I'm glad that I did and that I went to church this morning, for more than a few reasons. 1. We had a visitor in our Sunday School class. That's always a plus and lifted my spirits. Every time I hear this song it reminds me that God is in control and does things with our best interests at heart. Not only that, but it brings happy tears to my eyes when I realize that I don't have to worry - I can just trust God in His sovereignty. Amen and amen! 3. I got to hear a wonderful message by our pastor from John 10:24-30. It was called "Saints in the Hands of a Loving Savior" if I recall correctly. It was a great reminder that I am in God's hands, no matter what, and nothing can change that. I am God's child for keeps. At the very end of the message, during our invitation, our pastor said something that just made me smile, because I know God brought it to his mind just for me. I can't explain it better than that, and you're just going to have to take my word for it. He said something to the effect that, no matter what hardship is going on in your life, it will be ok. The reason I know that was meant for me was because when I went into labor for my daughter, I was only 35 weeks along. I knew I would be facing the NICU (I'd gone through that with my middle child), and I was rightly afraid. I'd been sent home from my doctor's appointment, the doctor hopeful that I was just dehydrated and would make it to my due date if I got myself re-hydrated, knowing deep in my heart that I would have her probably the next day since I had done something very similar with my two boys. I was in the shower, crying, and begging God to help me, and all the sudden a peace overcame me. It was like He whispered in my ear, "I love her more than you do. It will be ok," and I knew things would be fine no matter what happened. I did have her the next day, just like I thought I would, and she was in the NICU for a week, but she had no lung issues, no heart issues - no major issues, period. Everything was indeed ok.
Today, when the pastor said, "It will be ok," I was in the midst of pain, just like I was that night, and I had to smile at the less than subtle reminder from the Lord. I could trust Him to help me with this pain, with my Fibromyalgia in general, and know that He loves me more than I can even imagine, and I will indeed be ok...no matter what. God is good all the time. I encourage you, if you don't have Him as your Anchor, your Savior, please read this and think about changing that fact. You won't regret it. If you have any questions about it, feel free to email me. I've had what I would call a "Fibro Flare" over the last few days. I don't believe it is my first, but it is the first one that I can pinpoint as a flare up of Fibromyalgia, if that makes sense. 1. The weather. It has been evil; stormy and major fluctuations in temperature. I know just by looking outside what type of day I will have in regards to my Fibromyalgia. I try to psyche myself out and tell myself that it's all in my head and the pain won't come, but it always does. I suppose eventually I'll accept it and be able to prepare for it better, but I'm still learning how to do that. 2. The last few weeks have been insanely busy. I have been running all over the place for appointments and commitments. On top of that, I volunteered for some things that I wanted so badly to do and told myself that I didn't care if it made my Fibromyalgia go nuts (still feel that way). I suppose, in retrospect, that I really need to not overbook myself in the future, but I do know that there are some things that I will do anyway, like helping family, no matter how busy I am and no matter what the consequences to my physical body. I guess I just need to make sure I rest as much as possible after (and before, if possible) such episodes before my body decides enough is enough and makes me rest. 3. Diet. I have been wonderful about physical activity, though I am pretty sure that even that I need to make sure I don't overdo, but I let myself fall into the trap of "I deserve" in way of food. I'll explain. I was looking at the scales and happy with myself, and decided that I deserved some of that ice cream in the freezer, that I deserved to help myself to this or that, that I'd budgeted the calories for it, so it would be ok. Well, it wasn't. Now don't get me wrong - it wasn't that I went over budget calorie-wise or anything, it was that the processed food is NEVER a good idea. My body doesn't like it and it not only makes me sick to my stomach, it adds to the aches and pains. Instead of being a good little girl and making my own desserts that were not preservative and additive packed, instead of buying the ice cream that is natural (like Haagen-Dazs Five), I decided that I deserved a quick fix and the processed ickiness would be just fine! And my moment of self-indulgence and pride got me 3 days of debilitation. So not worth the trade-off! Years ago, when I was 265+, I remember taking a walk and breaking down mid-way through it. I remember crying out to God (though I wasn't a Christian at the time), begging Him to help me. Something had to give. I couldn't live like that anymore! He answered my prayer in a way I'd never imagined - I was misdiagnosed (or correctly diagnosed and later miraculously cured) with food allergies that totally changed how I ate and helped me not only lose weight, but look at food in a whole new way. Now, facing being almost that heavy again, I found myself not too long ago making the same prayer, and I suppose I should have guessed that the answer would be not quite what I expected. I don't think that God gave me Fibromyalgia, but I do believe that He allowed it for my good, and only one of those reasons being to lose the weight I need to. Maybe that sounds like crazy talk to some of you, and you are allowed to think so, but I believe with all my heart that God is going to use this Fibromyalgia diagnosis for my good and to give me the unique opportunity to help others through it all. I will be able to share my experience, empathize better with those who endure chronic conditions, and who knows what all else. I am even today, in the midst of pain, praising God for it because of the opportunity it allows me. I don't know if changing my diet, losing the weight, etc. will take away the pain completely or not. I don't know if I will have to take drugs like Prozac in the future or not. I don't know if I will end up bed ridden at times or not. But you know what? It doesn't matter. The Lord is with me, and I KNOW that it will be ok no matter the outcome. Today I choose to have joy despite it all. Today I choose to praise God that I am alive and for all the blessings He gives me. Every good thing in life is a gift, and I choose to be thankful for them, no matter what the package of life that wraps them up may look like at the time. I will not get caught up in the packaging. I will not get caught up in the trees, but instead look on the beauty that is the forest. Anyone can focus on the negative so close to their face, but it takes a rare person to take a step back and look for the positive things to focus on. I choose to be rare. Not such a great picture, huh? Kinda looks like a mess of dirt and debris, though the sunset is pretty enough. I can't, however, seem to appreciate the sunset because of the mess in the foreground. Quite the contrast, huh? 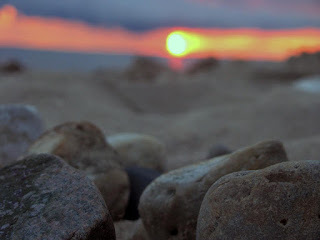 All the sudden you see some pretty cool rocks and the sunset (though blurry) looks amazing. 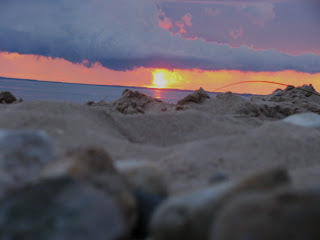 You get the impression of a beautiful sunset on a lovely beach - exactly the effect I was going for. So, what made the difference? The focus. What's my point? If we choose where our focus is, we can see beauty even among chaos. Ordinary things can become awe-inspiring. Focus is key. Life for anyone is hard, though for those of us with chronic conditions, it can seem even harder, especially to stay positive. Let me challenge you to get your eyes off the immediate (i.e. the pain, the stiffness, the difficulties) and focus on the beautiful things, even if they are small (i.e. that you were able to do this or that, that your kid did something extremely silly and you got to laugh about it, that it was a gorgeous day outside). Trust me, with a condition that can effect your mood, it pays to stay positive in any way that you can...and that takes practice. Hey, I'm not asking you to do anything I'm not doing myself. I know it's not easy, some days it seems impossible, but I remember these words, "For with God nothing shall be impossible." (Luke 1:37 KJV) So, keep your chin up, pray for that strength, choose to have joy and be ever so grateful for even the smallest of blessings. It really does help! Please note that this recipe is soy-free if you use all soy-free ingredients, and is fish, milk and nut-free. 1. Grease and flour two 8x4 pans﻿ (To keep this recipe milk-free and soy-free, use olive oil to grease the pan. If you don't need to keep it milk-free, use full-fat, salted butter.). 4. In another large bowl, beat eggs, oil, vanilla and sugar until well blended. 7. Pour batter into prepared pans and bake for 40 to 60 minutes or until tester/toothpick inserted into the center comes out clean. 8. Cool in pan on wire rack for 20 minutes before removing the bread from the pans. 9. Allow the bread to cool completely on the wire rack before enjoying. Carrot Zucchini Bread: Either reduce the zucchini to 1 Cup and add 1 Cup grated carrots, or keep it 2 Cups zucchini and add 1/2 to 1 Cups carrots. Reduce the oil: Reduce the oil to 1/2 Cup and add 1/2 Cup natural applesauce. Other stir-in ideas: Stir in up to 1 Cup of golden raisins, sunflower or pumpkin seeds, chocolate chips (allergy friendly if you use a type like Enjoy Life), chopped up apple and/or crushed pineapple. Please note that if you are adding crushed pineapple, that that will greatly change the liquid content, and I recommend reducing the oil by 1/2 if you use it. Zucchini Carrot Cake: Follow the recipe for Carrot Zucchini Bread, but reduce the oil to 1/2 Cup and add 1/2 Cup natural apple sauce. Bake in a 13x9 pan instead of loaf pans and cook at 325oF for 40-45 minutes or until a tester/toothpick inserted into the center comes out clean. Top with Sweetened Whipped Cream or frost with Vanilla Buttercream or the Cream Cheese Frosting Listed below (note that the toppings are not milk-free and that the Cream Cheese Frosting is not soy-free or milk-free) if desired. You can also top it with chopped walnuts if it doesn't need to be nut-free. Note: You can try your hand at making a soy-free version of cream cheese from scratch if you like (I've not tried it, so I can't vouch for the taste, though.). You can also try using a dairy-free, soy-free "butter" (Earth Balance has one) if you want to make the buttercream dairy and soy-free. There is a recipe for a dairy and soy-free "cream cheese" frosting here, but it is not nut-free and I've never tried it, so I cannot vouch for the taste. You can also just dust the cake with powdered sugar or eat it plain as well. My name is Julie. I've been married for 12 years and have 3 wonderful kids, ages nearly 10, 8 and just turned 2. My family (both extended and immediate) are a huge part of my life. I don't get to see a lot of my extended family often, but look forward to the days we do get together, even if they are few and far between. My family is always on my mind and in my prayers, though, and play more of a dynamic role in my life than they can ever know because it's impossible to voice it all. 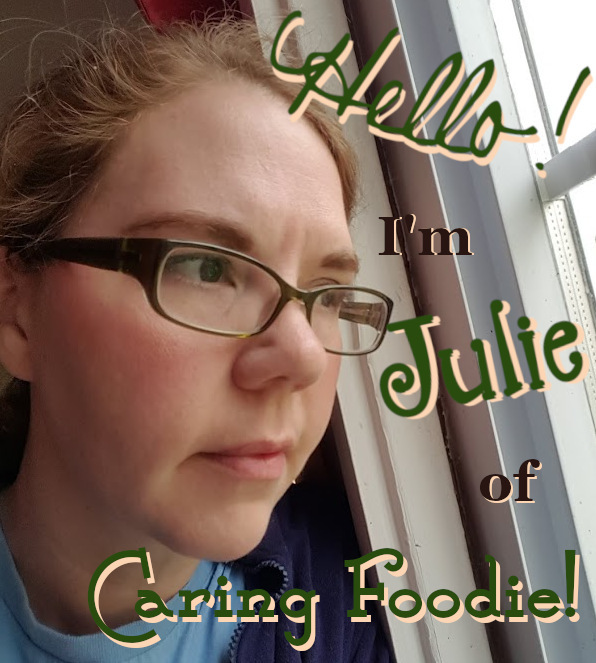 As some of you may know from reading the reasons I started my other blog (Natural and Free)*, I have had a varied journey in my life in regards to food and health. I have been up and down the roller coaster of weight as well as up and down in regards to my health. I find myself now in a valley, you might say, but working myself back on up the mountain with a slow and steady climb. I'll try to explain, but it does require a little back story first. Years ago, after I'd lost over 110 lbs. and was at my skinniest ever (155 lbs.) and feeling great, I told myself that I would NEVER get over 200 lbs. again. I wasn't even going to get over 175 lbs. I mean, I was DETERMINED! It was NOT going to happen. I knew what I needed to know to lose weight and keep it off (eat natural, non-processed food and only when I was hungry), and I wasn't going to let myself go on the junk food binge again...then I got pregnant. Now, I am by no means blaming my weight gain on my 2 year old. I am blaming it on my way of THINKING when I got pregnant for her. I was SURE that I would lose weight (I was about 190 when I found out I was expecting) I'd put on just like I had when I was pregnant with my boys, but that's not what happened. Instead, I gained weight - I was around 220 when I had my daughter. I didn't worry about it, though. Sure, I knew I'd picked up some bad eating habits, but I thought I had it under control. I figured I'd be down under 175 within a short time, and at first I did ok - I dropped down to 195 - but then I got careless and a bit cocky, if I'm honest. I decided I deserved the convenience of pre-made food, that I didn't REALLY have to make things from scratch, that I could splurge (a LOT) and everything would be fine. But you know what? It WASN'T fine. I was miserable, I was sick more often, and I was now not only over 200 lbs. again, I was at 240, almost 245 at times - just 20 lbs. away from my heaviest ever. I wanted to sob. How in the world did I end up here? It just didn't seem right or fair. Well, I had a lot of things in my personal life that I needed to get right - that was the first step. Those things are still a work in progress, but they are a far cry from where they were. I now have a support group within the workings of my family, and I am not going it alone. My relationship with God is better, too, and trust me that's a HUGE bonus (Nothing curbs cravings better than a quick prayer to the Lord to help me. :) ). Now, there was a monkey wrench thrown in the mix just about a week or so ago (and this is the rest of the "valley" part). My doctor has "diagnosed" me with Fibromyalgia (I put it that way since that's what he's going with since nothing else is showing up in my blood work and as long as nothing new surfaces.). I wanted to argue with him, and I tried to tell myself he was nuts, but (the more I research it and the more I really think about it) I am starting to accept and agree with the diagnosis. 1. Following a natural foods diet that consists of more fruit and veggies, whole grains, and meats prepared in the best way possible (i.e. avoid the frying) while cutting out the garbage (refined and processed nastiness). I'm not going to deny myself the sweet treats, but I will make them from scratch (more often than not - I'm sure there will be days when I blow this part) and limit the amounts. I am going to also (as part of this) be noting which foods make things worse for me and those that make it better. 2. Make sure that I keep hydrated. I find that if I have at least eight 8 oz. glasses of water a day, my stiffness and swelling is greatly improved! 4. Lose the 79 lbs. I have left to reach my goal of 155 lbs. I am focusing on 1 lb. a week right now, but welcome more as long as it stays off. :) I know that losing the excess weight will also help with the Fibro pain in that less weight = less stress on the body. 5. Focus on being healthy and living the best life I can for the Lord and my family! *-Read "Why I Started This Blog" for more information. This is a modified recipe of one I found on allrecipe.com as listed by Sherry Haupt. It is a "stoup", very hardy and customizable...not to mention delicious. :) It's perfect for using up left-over mashed or baked potatoes. I hope you enjoy it. This recipe is egg, fish and nut-free and soy-free if you use all soy-free ingredients. 1. In a stock pot or Dutch oven, melt the butter over medium heat. 2. Whisk in flour until smooth. 3. Gradually stir in the stock and milk, whisking constantly until thickened. 4. Stir in potatoes and bring to a boil, stirring frequently. 6. Mix in cheese, sour cream and spices and continue cooking, stirring frequently, until cheese is melted. 7. Stir in bacon or sprinkle on top of individual portions before serving. Use 4 green onions (chopped fine) or 3/4 Cup onion (diced fine) for the onion salt, only add them in when you add the potatoes. Use 3/4 Cup celery (chopped fine) for the celery salt, only add it in when you add the potatoes. Use diced or dehydrated garlic to taste in place of the garlic salt, only add it in when you add the potatoes. If using onions, celery and/or garlic instead of the salts, you may need to increase the amount of table salt to 1 teaspoon or more according to personal preference. Use 1 teaspoon fresh parsley (chopped fine) in place of the parsley flakes. Use 4 Cups water and 4 chicken bouillon cubes in place of the stock. Add fresh or canned mushrooms (drained) with the potatoes, if desired. Use mashed potatoes in place of the baked potatoes; amount based on preference, 2 to 4 Cups. Type of potato used is up to you (i.e. Red, Russet, Yukon Gold). Use any cheese for the Cheddar that you like best (i.e. American, CoJack, Cheddar Jack). Cheesy Chicken and Broccoli Potato Soup: Omit the bacon. Add 3/4 Cup shredded/grated carrots and 1 lb. (16 oz.) fresh or frozen broccoli pieces (bite-sized) with the potatoes. Stir in 1 cooked and cut-up or shredded chicken breast with the cheese, sour cream and spices and continue cooking until the cheese is melted and the chicken is heated through. Cheesy Chicken and Broccoli Soup: Follow the substitution for Cheesy Chicken and Broccoli Potato Soup only omit the potato. Cheesy Broccoli Soup: Follow the substitution for the Cheesy Chicken and Broccoli Potato Soup only omit the chicken. You can omit the potatoes or not based on preference. Cream Soup Base: Omit potatoes, cheese, sour cream and bacon. Add the spices when you add the stock and milk, and cook (stirring continuously) until soup is of desired thickness. Creamy _____ Soup: Omit potatoes (unless making a creamy potato soup), cheese, sour cream and bacon. Add cooked, chopped or shredded chicken to make a creamy chicken soup, mushrooms for a creamy mushroom soup, celery for a creamy celery, etc. when you would add the potatoes and follow the rest of the recipe as written. The amount of mushrooms, chicken, celery, etc. that you choose to add is based on preference, but I would say between 1 to 4 Cups of add-ins total is sufficient. As you can see, this soup is very versatile! I am thrilled that I now have a cream soup base that I can utilize in that I've looked for one forever! My family thoroughly enjoys it in any way it's been prepared, too, which is a huge plus.